Local youth clubs hut leads you close. The very 2nd cache in Viljakkala. 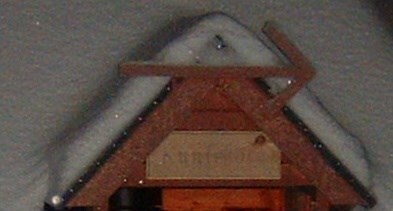 Arrow for travel direction on hiking trail.Also a visible hint of hut - you should be close when you can spot this.